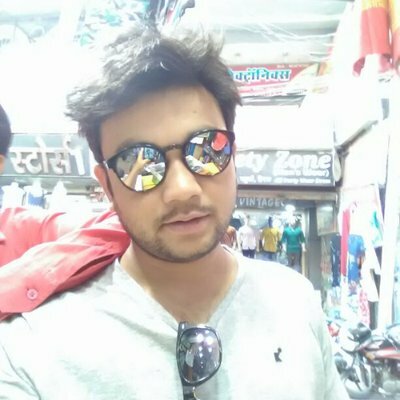 Localbitcoins Sell Bitcoin In India ? LocalBitcoins serves more than Trade bitcoins in 16349 cities and 248 countries including United States and territories on its platforms. The countries which are not served are locked out as a result of either international financial restrictions, or regulatory prohibitions. What are cryptocurrency pairs traded on the LocalBitcoins platform? All trading and exchange business features Bitcoin, paired with several fiat currencies such as the INR,USD, Euro, British Pound, etc. The best prices are obtained when using payment methods that are not easily reversed. Therefore, purchasing with a payment method such as PayPal will be more expensive than a physical cash exchange because of the added risk of chargeback with PayPal. For those who want to understand what charges they may possibly incur by using the LocalBitcoins exchange site to do business, the following is a guide on the fees schedule for LocalBitcoins usage. Bitcoin trading (i.e. buying and selling of Bitcoin) is totally free. Those who advertise their Bitcoins for sale to other LocalBitcoins users that want to buy are usually charged a 1% fee on all completed trades. Sending of Bitcoin to the wallets of other LocalBitcoins users is also free. However, the Bitcoin network itself will charge a fee for the transaction. In other words, LocalBitcoins will not charge for sending of Bitcoin, but the network will charge a fee (which is used to compensate those who confirm the transactions on the blockchain network). This network fee is not static; it varies with the amount. Merchant invoicing carries a 0.5% service fee, which is taken from the invoice amount. Payments of invoices using external transactions also attract some cost. If custom projects are performed, (e.g. research) a fee of 200 euros/hour is charged. This amount is payable in Bitcoin using the most current BTC/Euros exchange rate. There are no limits on the amounts of cryptocurrencies that can be traded on LocalBitcoins. What are the security measures deployed by LocalBitcoins to secure the cryptocurrency holdings of its clients? The following measures have now been put in place. 2FA, also known as 2-factor authentication, allows for users to use an additional login PIN after entering the primary login details in the account. The use of 2-factor Authentication is an additional security measure which helps to prevent account hacks, especially if an unauthorized third party has obtained control of the primary login details. The user is expected to activate it if this feature is desired. It is not activated automatically or by default. IP Address Confirmation: LocalBitcoins usually marks and keeps a record of the IP address of the computer which is used for the account creation. The exchange website’s robots are also able to keep a record of the browser which is constantly used for login to the LocalBitcoins account. If the user moves to a new location, uses a new computer or browser or travels to a new country, a verification process is undertaken via email to confirm the identity of the individual using the account. KYC: A Know-Your-Customer system is in place to put a verifiable identity on all users of the LocalBitcoins exchange website. This helps to weed out scammers from using the exchange to steal Bitcoins of authentic users. Escrow Payments: All transactions are covered by escrow protection. Cash is only released for Bitcoins that have been confirmed as being sent. LocalBitcoins does not provide a hard wallet. Therefore, users are advised to place all their unlisted Bitcoins in a cold wallet and only put the ones they want to sell on the hot wallet. However, only the social media channels guarantee fast services. Support tickets opened on the website may take as many as 10 days to get resolution. LocalBitcoins’s headquarters is located in Helsinki, Finland. How can I fund my LocalBitcoins account? There are many options that can be used to fund an account with LocalBitcoins. Check the article to see which method is available in your region. What is the average withdrawal time for LocalBitcoins? LocalBitcoins specify a maximum withdrawal time of 12 hours. However, the typical withdrawal time is very much less being one or two hours. LocalBitcoins offers several layers of security for the protection of its users. Furthermore, there are several checks and balances that are in place to protect users during transactions. One of these is the escrow system, which ensures that payments are not released until all parties have fulfilled their obligations. Is LocalBitcoins legit, or is it a scam? LocalBitcoins is a legit company which has been around since 2013. There have been very few complaints of scam, which in most cases were as a result of people doing business with users without track records. Deposits and withdrawals are handled with dispatch and this is why more and more people in many countries are signing up.